Cyanogen Inc. has forged an alliance with Playphone to bring its exciting bloatware social game store to Cyanogen OS in multiple international markets. It's not clear when or where the Playphone store will be bundled with Cyanogen OS phones, but it should start happening before long. I'm sure no one will be annoyed by this. 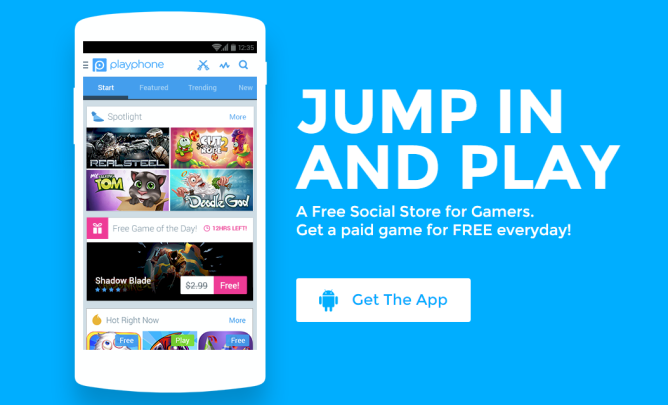 Playphone's game store can be installed on any device if you head to the official website. It's a game store, so you can't get the installer from Google Play, of course. It focuses mainly on free-to-play mobile games, though it does have a selection of paid content including NBA Jam, Tetris, and Final Fantasy III. Playphone's recent focus has been on emerging markets, so it's unlikely it's going to push for Cyanogen Inc. to include the store in US releases of Cyanogen OS. Cyanogen has recently announced integration with services like Trucaller and Boxer, so this isn't exactly unexpected. Still, including an alternative app store on Cyanogen OS is a big step. If Boxer annoyed people, you can be sure this will too.